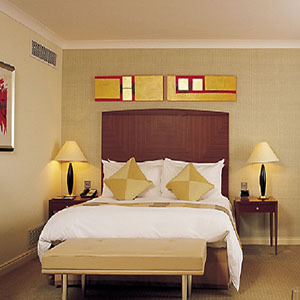 Hotels in Dublin do not come much better than the luxurious 5 star Conrad Hotel which is now part of the Hilton Group. The Conrad Dublin really does personify luxury. The luxurious 5 star Conrad hotel is located in the heart of Dublin's city centre, it is within walking distance of St Stephen's Green and the fashionable Grafton Street. The hotel is located right outside Dublin's National Concert Hall, one of the finest concert halls in Europe attracting over 320,000 concert-goers a year and definitely worth a visit. This 5 star hotel's range of 191 guest accommodations feature attractive decor, luxurious amenities and beautiful views of the city. 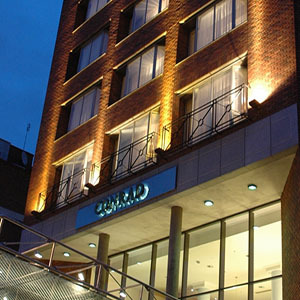 It offers elegant rooms and suites, great facilities and a fantastic location in vibrant Dublin'e lively city centre. The rooms feature a TV, Hi-Fi and work desk, beautiful marble bathrooms include bathrobes and slippers. The 5 star luxury Conrad hotel in Dublin 2 Ireland offers an array of dining options, including the Coburg brasserie, Irish-American themed Alfie Byrne's by Galway Bay Brewery and 24h room service.  The luxurious Conrad features an array of relaxing bar options, Lemuel's Lounge Bar is one of the favourite places across the National Concert Hall in Dublin 2 Ireland. There is live piano every Saturday night at Conrad Hotel Dublin. The National Concert Hall Dublin Ireland, one of the finest concert halls in Europe is across from the hotel. The hotel offers travelers a contemporary retreat in the middle of an abundance of Ireland's golfers' haven, the legendary Royal Dublin Golf Club which is located at Dublin Bay, this course boasts over 130 years of rich history. Also the hotel is equipped with a variety of fitness facilities, its fitness center, for the exclusive use of hotel guests, is equipped with hi-tech machines including cardiovascular equipment and weights. St. Stephen's Green, opposite the hotel, is the perfect place for a scenic run as well.